An In-Pile Thermal Desorption (IPTD) system was used to destroy dioxin in contaminated soil and sediment at Da Nang Airport Project. Secretariat of the National Steering Committee on the Settlement of Post-war Unexploded Ordnance (UXO) and Toxic Chemical Consequences Than Thanh Cong spoke at a November 6 workshop on Viet Nam–US Co-operation on the environmental remediation project to remove dioxin contamination at the airport. Cong said the project succeeded thanks to co-operation between the Ministry of Defence, the US Agency for International Development (USAID), Air Defence and Air Force command, contractors and other agencies. “We have mitigated exposure risk to humans and the environment and brought dioxin to the lowest level, and the airport has been removed from Vietnam’s dioxin hotspot list,” Cong said. “This was the first and biggest dioxin contamination cleaning project in Vietnam using an In-Pile Thermal Desorption (IPTD) system to destroy dioxin in contaminated soil and sediment,” he said. Cong said the project showed off good co-operation and co-ordination between Vietnam and the US in resolving war consequences responsibly. Christopher Abrams from USAID said the project was the largest dioxin soil treatment project in the world. He said the project would provide experience for the upcoming dioxin remediation at Bien Hoa Airport. According to USAID, contaminated soil was placed in a container and heated to a temperature of 335 degrees Celsius, which destroys 72 per cent of dioxin. 99.99 per cent of dioxin was removed from the soil. The project treated soil and sediment that attained dioxin concentration of 150 parts per trillion under the dioxin toxic equivalents in surface soil standard. Nghiem Xuan Truong from the Viet Nam-Russia Tropical Centre said the project was monitored in terms of air emission and waste water released by the cleaning process. “Contractors and agencies of both Vietnam and the US had good co-operation in dealing with difficulties over the past six years,” he added. Truong said the airport should be continuously monitored to make sure that dioxin is absent from the air, waste water and underground water. 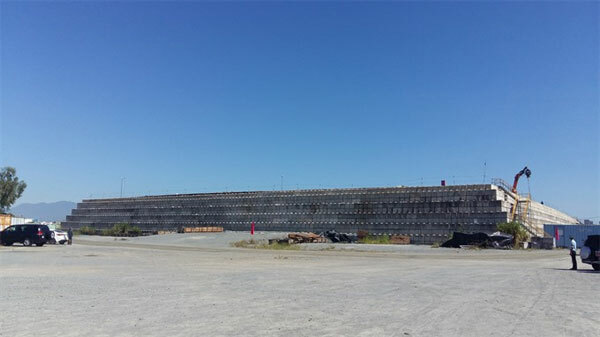 Deputy Head of the Environment Administration Agency, Hoang Van Thuc, said the project should compile a scientific report. 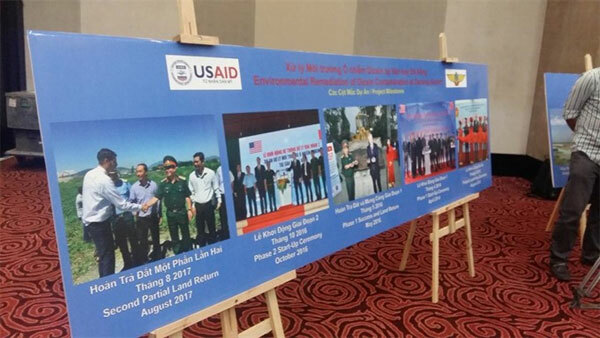 Thuc said the project would help Vietnam improve its treatment capability for dioxin and chemical contamination in the future. Major General and deputy head commander of Air Defences Bui Anh Chung said efforts had been made by contractors and agencies from Vietnam and the US to complete the project on schedule. He said the successful treatment measures at Da Nang Airport will be used as practical and scientific standard for cleaning 50ha of land at Bien Hoa Airport in Dong Nai Province. An estimated 500,000 cubic metres of soil will be excavated for dioxin cleaning. Launched in 2012, the Environmental Remediation of Dioxin Contamination at Da Nang Airport Project serves as an important milestone in the bilateral relationship between the governments of Vietnam and the US, and will result in a cleaner, safer environment for the people of Da Nang. Da Nang’s former US air base is considered a dioxin hotspot due to its high levels of dioxin. Other dioxin-polluted spots include Bien Hoa in the southwestern province of Dong Nai and Phu Cat Airport in Binh Dinh Province. Vietnam and the US will host a land handover ceremony at Da Nang Airport today.